Upsite provides best-in-class products, industry-leading education, and hands-on advice to provide data center operators with the tools needed to maximize their cooling investments. Upsite Technologies®’ new Sliding Doors, part of the AisleLok® line of products, are suitable for either hot or cold aisle containment, for a variety of aisle widths and heights. They are easily installed, removed, and relocated as computer rooms change and evolve. 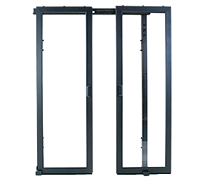 For use in both raised floor and slab-style data center environments. The SwitchFix®, part of the HotLok® line of products, easily solves cooling problems associated with network switches without the need for additional energy usage. It allows your switches to benefit from cooler airflow and comply with Hot Aisle/Cold Aisle best practices. 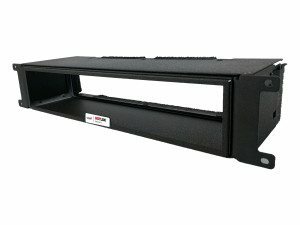 Our Hotlok line of rack airflow managements products, specifically designed to control intake airflow in server racks. Our award-winning blanking panels are considered the 'best-fitting' in the industry. Our Aislelok modular containment solution and line of aisle airflow management products are specifically designed to block airflow, ensuring hot and cold aisle separation.